Our new weekday experience will be available Monday-Thursday and at just $5 a person, will set you free to roam our 600 acres through self-guided walking tours or a scenic tram ride. Our self-guided walking tours highlight the architecture, gardens, nature, and kid’s activities you can explore at your own pace on site. Enjoy walking on miles of trails, snap photos of our beautiful grounds, bird watch, or even bring your own picnic lunch to enjoy as a family! For an additional $5 a person, take a tram tour led by a staff member. This guided tour provides hands-on activities and access to select buildings. The Architecture Walk highlights the largest collection of historic building styles in the state! Over 60 structures built by Wisconsin immigrants now rest on the site’s 600 acres. See and touch examples of German Fachwerk, learn about different styles of Scandinavian corner notching, and see a Cutover cordwood house, among many others. On the Garden Walk, discover heirloom flowers, fruits, veggies and herbs.The historical designs draw from old word traditions and new world inspirations, while the diverse plantings speak to the rich array of immigrants who came to call Wisconsin home. Take this self-guided tour a few times throughout the season to watch our gardens grow from shoots to blooms. The Nature Walk showcases the natural features and creatures of the Old World Wisconsin grounds. Enjoy the unique landscape and wildlife of the Kettle Moraine forest on low-intensity paths that are safe for all ages, and stroller friendly. The Kids Walk is perfect for our youngest visitors, ages 2-5.  Take the short walk out to the Crossroads Village and explore Old World Wisconsin with a seek-and-find tour that uses all five senses. From counting sheep, to finding hidden letters in the architecture, it’s a great way for parents and children to enjoy the day together. Relax and enjoy the ride! The Tram Tour is an additional $5 per person and provides a more hands-on experience for all ages. The scenic ride takes guests on a tour of the grounds while riding a motorized tram and includes a stop at the Life on the Farms area. Once there, guests will receive exclusive access to buildings, meet heritage animals, taste historic foods, and more. Each tour lasts approximately 75 minutes. Limited space available on each tram tour. Purchase your tickets in advance to save your seat!